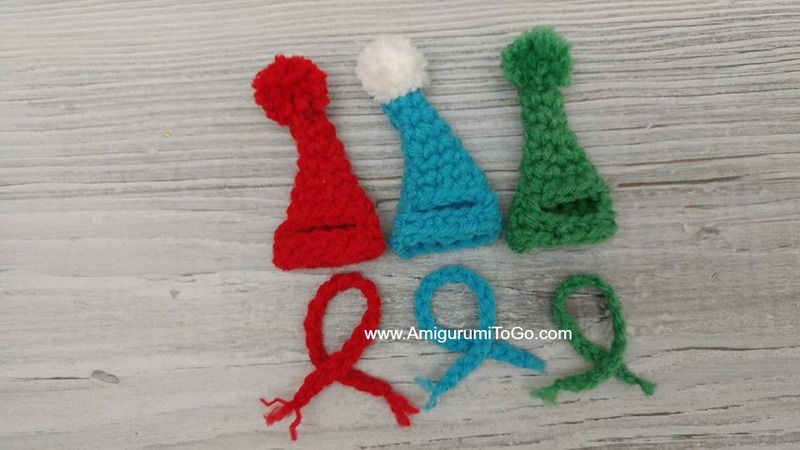 Hat and scarf for the Pocket Mouse and the Micro Mouse. There is a full video tutorial as well as a written pattern. Scroll down this page. 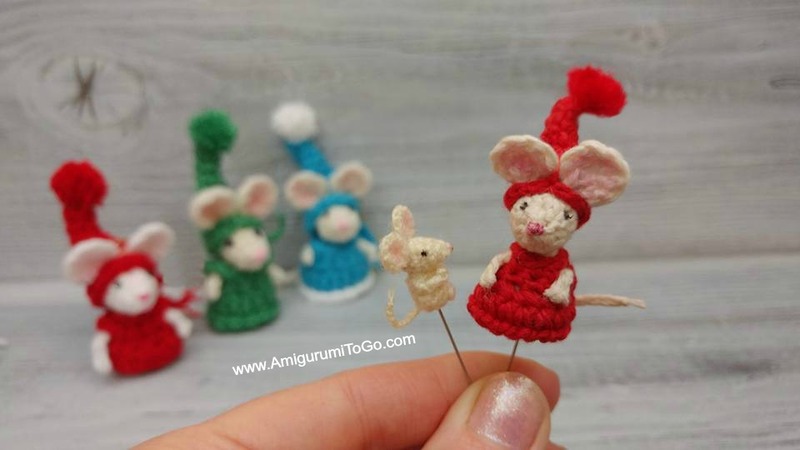 I haven't yet made any of the outfits for that super tiny mouse pictured below on the left. I might try to make it a dress later on down the road. 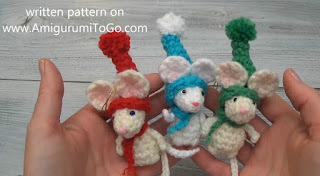 followed the Pocket Mouse dress pattern and the hat and scarf pattern with red embroidery floss. How to read the rows: The number inside the parentheses ( ~ ) is the number of stitches you should have at the end of that particular row. wrap yarn around the end of one finger 20 times. Tie off the middle, this will create loops on each side of tie, cut through the loops then trim. The micro mouse is too small for a pom pom made this way. or the micro mouse, I tied off a few strands of yarn , trimmed the length then split the yarn strands to make them puff up. f/o. Trim each end yarn tail to about 1/4in. Fray the ends.